A rich, non-greasy, replenishing oil pressed from the macadamia nut. Also known as “Queen of Nuts macadamia nut oil spreads easily on the skin and provides softness and protection. A mixture of magnesium salts and plant fatty acids, mainly stearic and palmitic acid derived from plant oils. 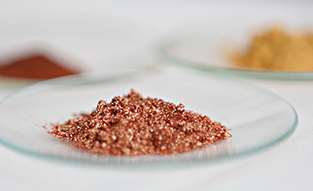 Often used for the production of tablets, magnesium stearate is used in Dr. Hauschka pressed powders as a binder. It provides smooth, even coverage and adhesive qualities for pressed powders. A rhythmitized dilution of this green, copper-containing mineral, helps cool heat and redness of the skin. Acerola, also known as the West Indian cherry, is a native of the Mexican Yucatan peninsula. Its red, cherry-like fruits are rich in Vitamin C. Extracts of acerola are used for their antioxidant, skin-protecting and fortifying properties. Maltodextrin is a natural sugar from plant starch (tested and certified Non-GMO) that helps the consistency of products and improves the spreadability of natural pigments. Maltodextrin is considered free of gluten by the German Society of Celiac Diseases. A violet mineral color pigment derived from manganese. Skin-nurturing mango butter is obtained from the kernels of the mango fruit. It is a heavy, edible plant butter similar to cocoa butter and contains natural Tocopherols. It is a relatively occlusive fatty butter which means that it stays on the skin as a barrier, protecting the skin from drying out. In addition it helps the consistency and stabilization of creamy emulsions. Tapioca starch is derived from the long tuberous roots of the Manihot esculenta tree, which is native to South America and Southeast Africa. The starch is used in cosmetics as a powder base and in compact powders the starch serves as a binding agent. Tapioca starch has good absorbency and leaves a smooth feeling on the skin when applied. An essential oil extracted from the Australian tree Melaleuca alternifolia. This oil is traditionally used for cuts, burns and insect bites. 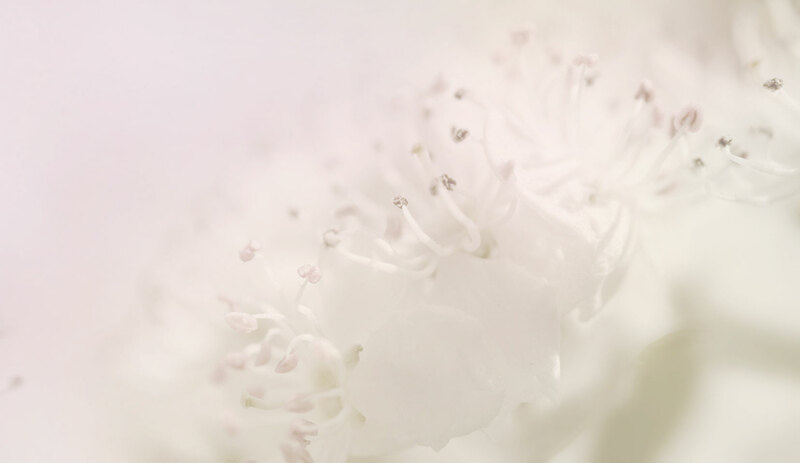 Tea tree and manuca oil in the Dr. Hauschka Cover Sticks provide cleansing, soothing qualities. A tree native to India used for centuries in cooking, Ayurveda and for hair and nail care. Neem leaf is soothing and refreshing. It's strengthening effect on keratin protein makes it ideal for hair and nails. Neem leaf extract supports healthy scalp and hair. Traditional Indian hair treatments use a neem tea rinse and packs of neem leaf pulp for conditioning. Common in herb gardens, lemon balm grows to be a strong, bushy plant about 24-36 in. tall with oval, intensely green leaves with serrated edges. It forms the very picture of lush vegetation. Growing in tiers, the leaves emit a lemony fragrance when rubbed. The key ingredient in Dr. Hauschka Melissa Day Cream, lemon balm is known for its mediating properties and is able to help skin to balance between the opposing forces within oily, dry and sensitive areas of skin. Melissa’s ability to bridge great differences can also be seen from its natural habitat. 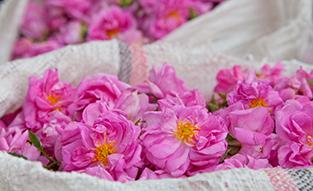 It prefers moist, well-drained soil, but can also handle dryness. It needs sun, but can still thrive in partial shade. The essential oil of peppermint has a refreshing and liberating fragrance. In toothpastes its disinfecting and strengthening properties encourage healthy teeth and make the breath fresh. In aromatherapy peppermint essential oil is also valued for its cleansing and cell-renewing properties. The essential oil has a refreshing but at the same time sweet-herbaceous scent and has antioxidative and antimicrrobial properties. In aromatherapy, essential oil is recommended for stomach and digestion problems and colds. Rhythmitised dilution of Mercurialis perennis, or "dog's mercury," a plant with dark green leaves which contain natural cleansing substances that soothe and support skin renewal. Mercurialis grows primarily in the shady forests of Europe and is hermaphroditic, meaning plants carry both pollen and ovaries. It is hand-harvested in early spring, just as its greenish flowers appear. Ice plant has an amazing ability to grow and survive in sunny, dry conditions. The plant can store particularly large amounts of minerals and moisture in its succulent leaves and thus moisturize and soothe the skin. Similar to other succulents like aloe, ice plant is hydrating and soothes skin and calms redness. This South African native has successfully migrated to the sunny coastal areas of several continents, flourishing in barren, even salty soils. A mineral that provides natural glitter and shimmer in make-up. In rhythmitised dilutions, the silica-rich composition of mica is thought to support the skin's own processes of renewal and bring vitality to the skin. Natural mineral salt water from thermal springs of Bad Bentheim, Germany helps support healthy moisture balance and stabilize the skin.